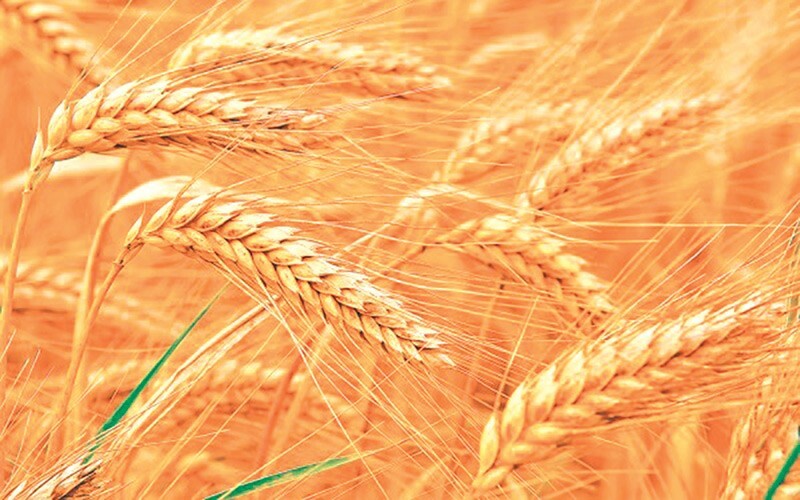 Rupandehi, a major wheat producing district, witnessed a surge in production of wheat due to favourable weather conditions from the monsoon season and widespread availability of fertilisers in the market. Although there was a sudden infestation of army worms that threatened to affect the harvest, timely application of insecticide managed to prevent any major loss of crop. According to the District Agriculture Development Office (DADO), the district saw a surge in production of wheat by 3,969 tonnes compared to last season’s harvest. This time last year, wheat farmers of Rupandehi produced 79,380 tonnes while this year, the harvest was 83,349 tonnes, informed Binod Gyawali, crops development officer of DADO Rupandehi. Besides the surge in total volume, the productivity of wheat also increased this year when compared to the past two seasons. In this season, wheat was planted over 29,400 hectares of land and the productivity was 2.84 tonnes per hectare of land. Per hectare productivity was 2.5 tonnes last year and 2.7 tonnes the year before. Production in the last two seasons was due to poor rainfall and unavailability of fertilisers in the market, according to Gyawali. Around 80 percent of the wheat produced in the district is consumed within the district while the remaining 20 percent is exported to neighbouring districts. More than 40,000 people of the district are involved in wheat farming. Different varieties of wheat seeds like Vijay, Adaitya, Gautam, Bhrikuti, NL 1073, L 30 and NL 297 are popular among the farmers of the district. National Wheat Research Centre in Rupandehi district conducted a research on 37 varieties of seeds and suggested the Tilottma variety of seed for the region for best productivity. Farmers of the district are using the suggested seed as well as other varieties. Per hectare productivity of Tilottma variety is 4.4 tonnes and germination rate is 85 percent. If irrigation facility is provided all over the district and recommended seeds are used, the production of the district will increase by as much as 33 percent, according DADO Chief Bhoj Raj Sapkota. The country is also expected to see marginal growth in production of the wheat. According to a recent report by Climate Change, Agriculture and Food Security (CCAFS), Nepal’s wheat harvest is expected to increase marginally by 2.6 percent to 1.78 million tonnes in fiscal year 2016-17 after a double-digit slump in the previous year. Wheat output had plunged by 12.1 percent to a six-year low of 1.73 million tonnes in the last fiscal year due to winter drought and political unrest in Tarai which restricted cross-border trade. The latter caused a severe shortage of fuel for irrigation and land preparation while chemical fertilisers were in short supply. Wheat is the third largest cereal crop in Nepal, after rice and maize.